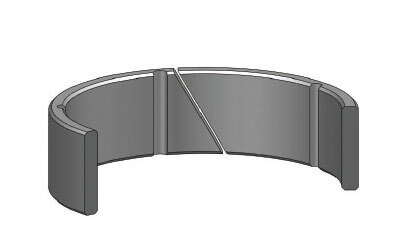 DWR is a guide ring which is applied for Rod and Piston. Construction machinery , cranes , injection moulding machines , agricultural machinery , light to medium duty cylinders. Easily assembled into the housing by hand. It is very important that the assembly tools must be of soft material and have no sharp edges. Before installation the wiper must be oiled with system oil. NOTES: The guide ring should be placed where it has direct contact with the media. DWR is not suitable for dry working conditions. Surface contact pressure value might drop due to the temperature rise.